There is a whole world of opportunities waiting for you in the finance industry. 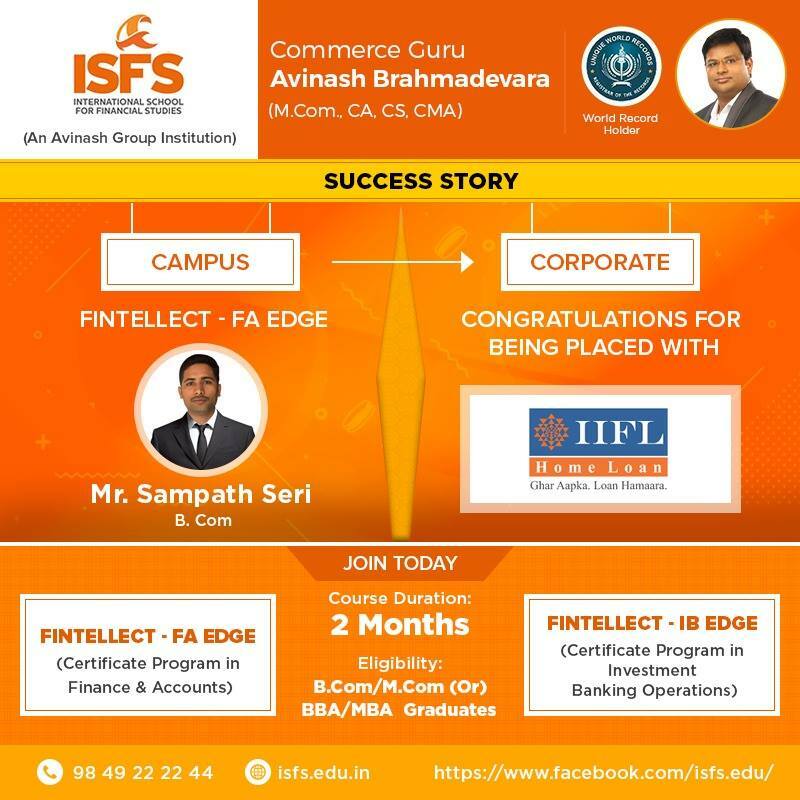 We at ISFS - International School For Financial Studies prepare you for over 25 rich career opportunities in the finance industry. 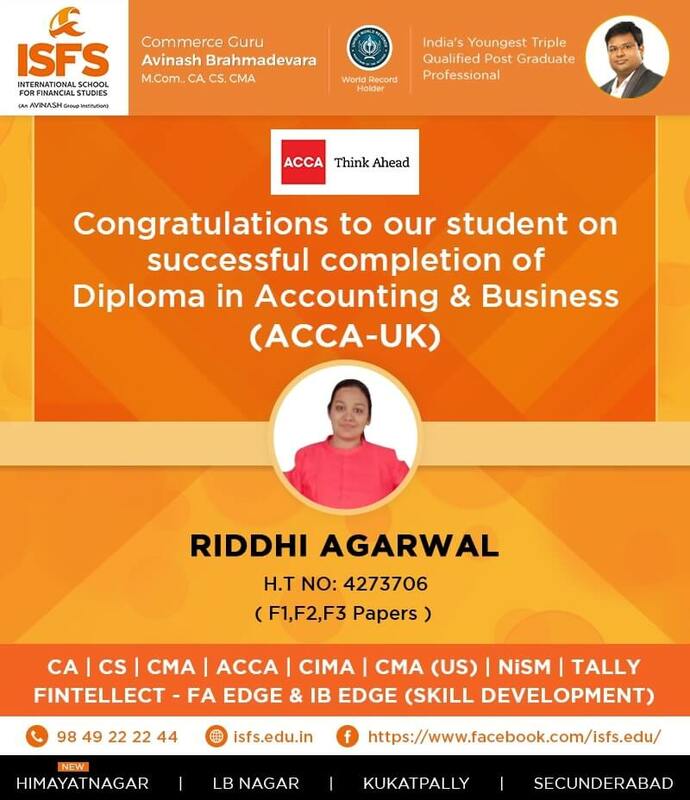 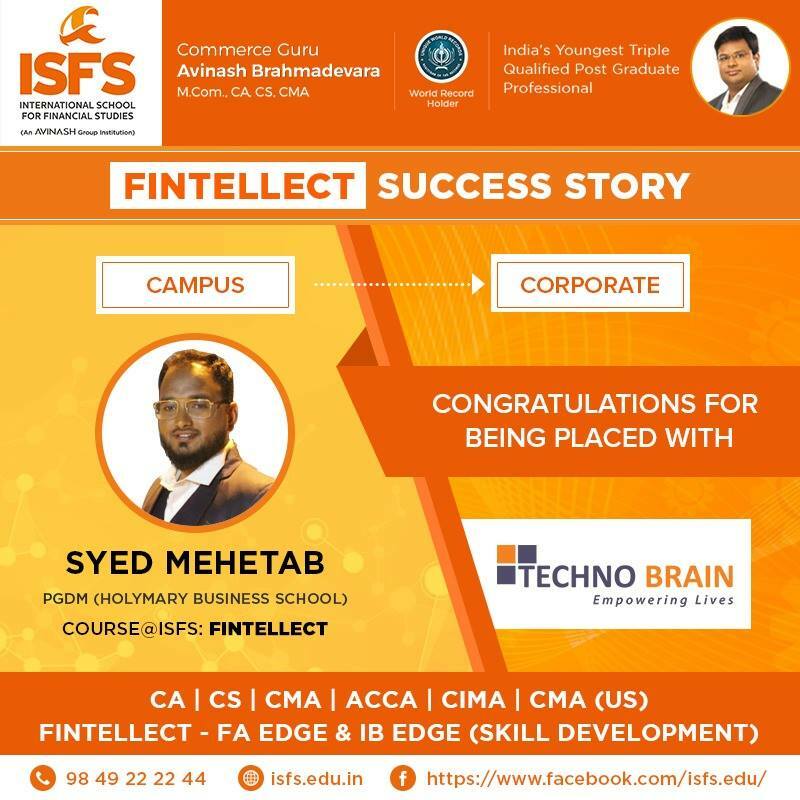 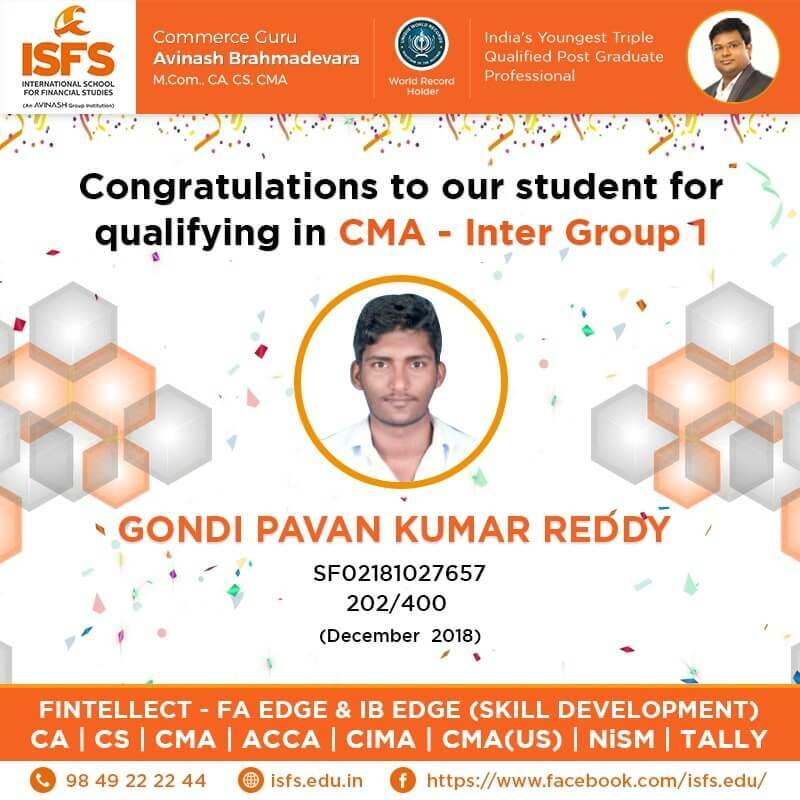 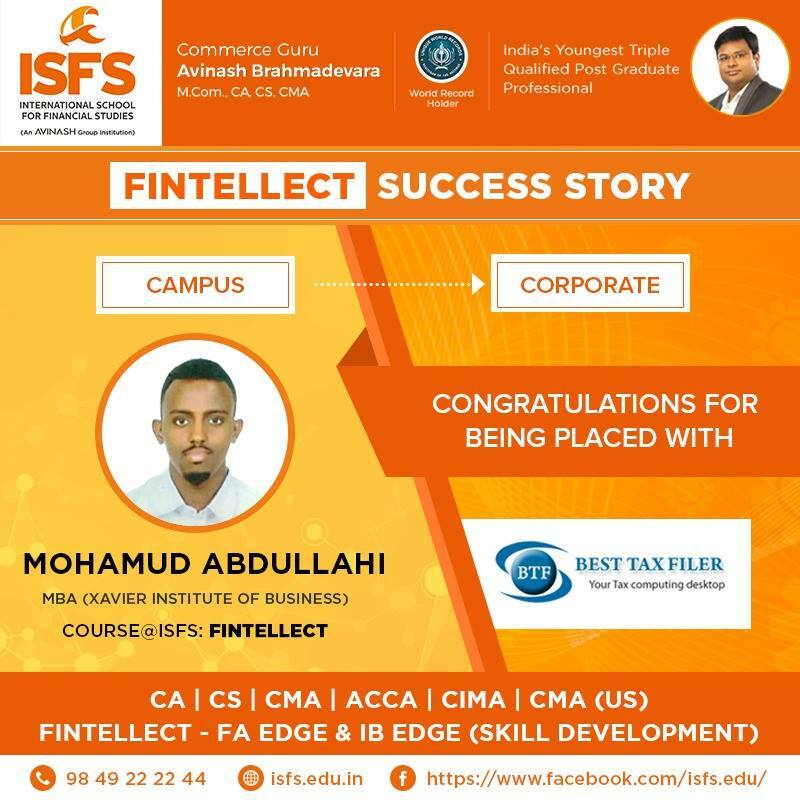 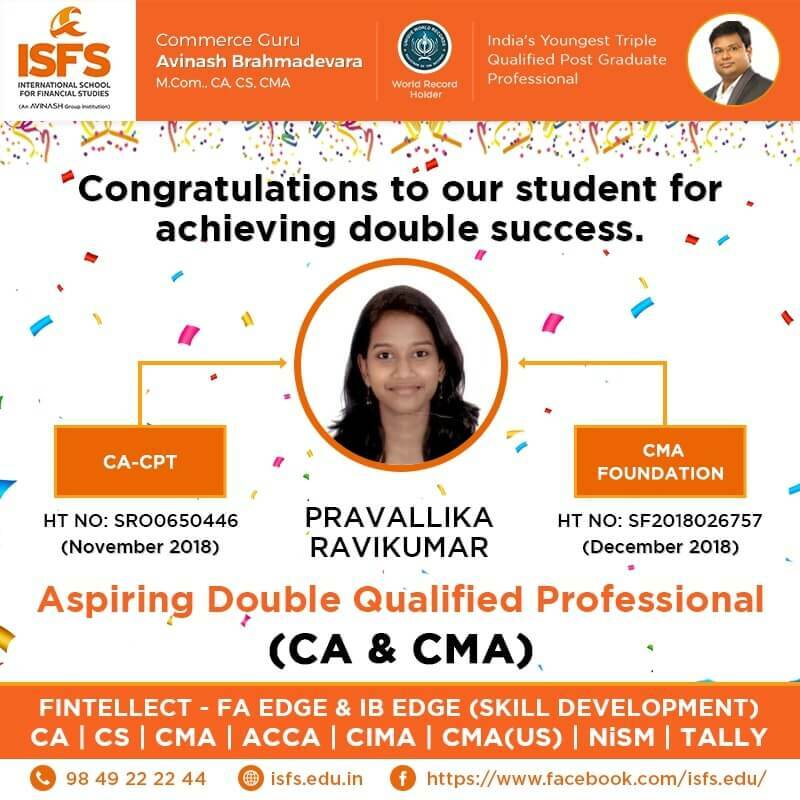 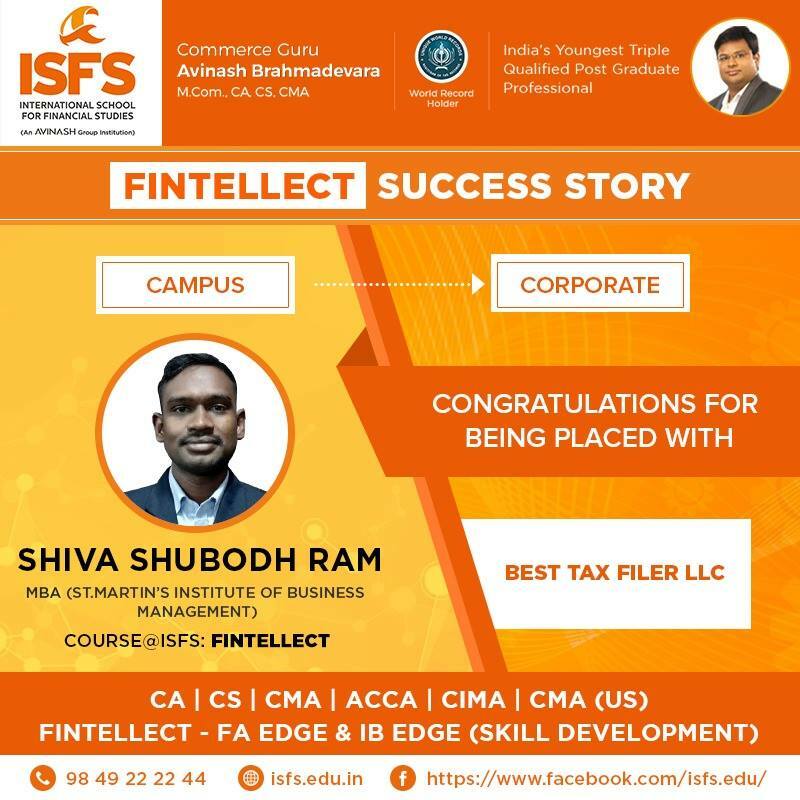 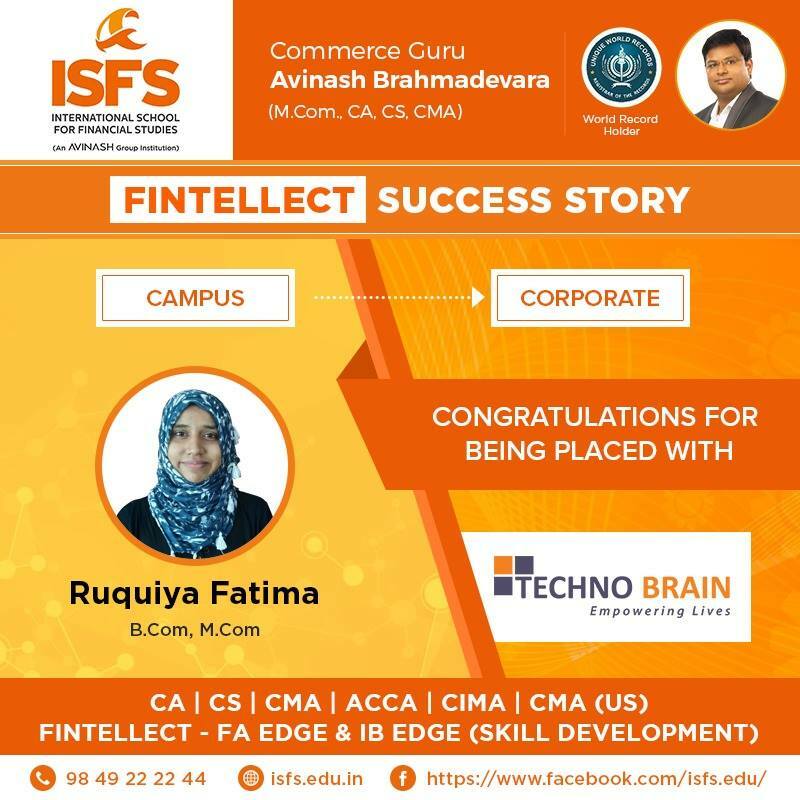 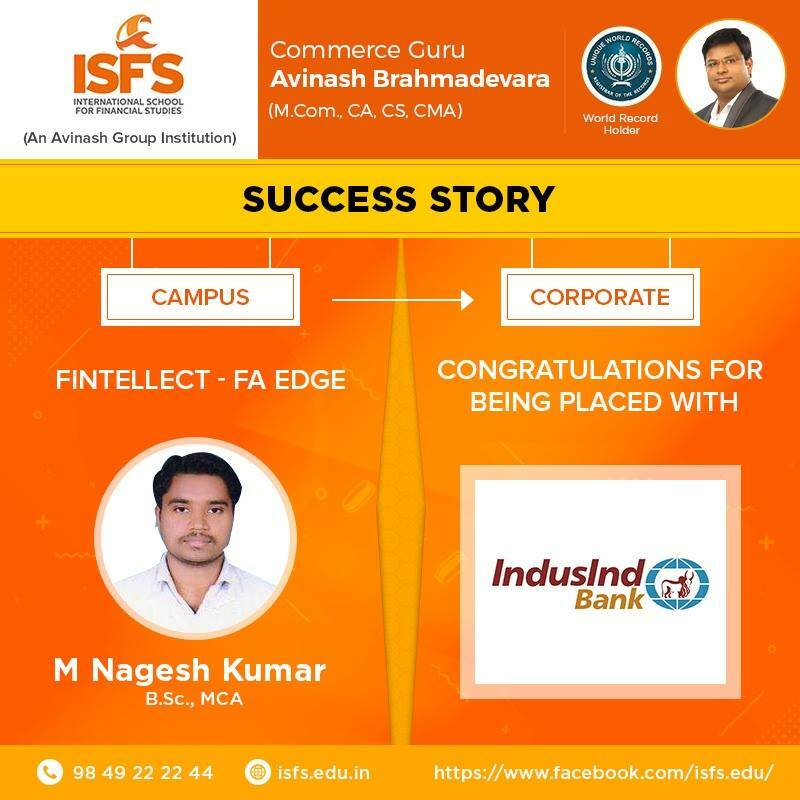 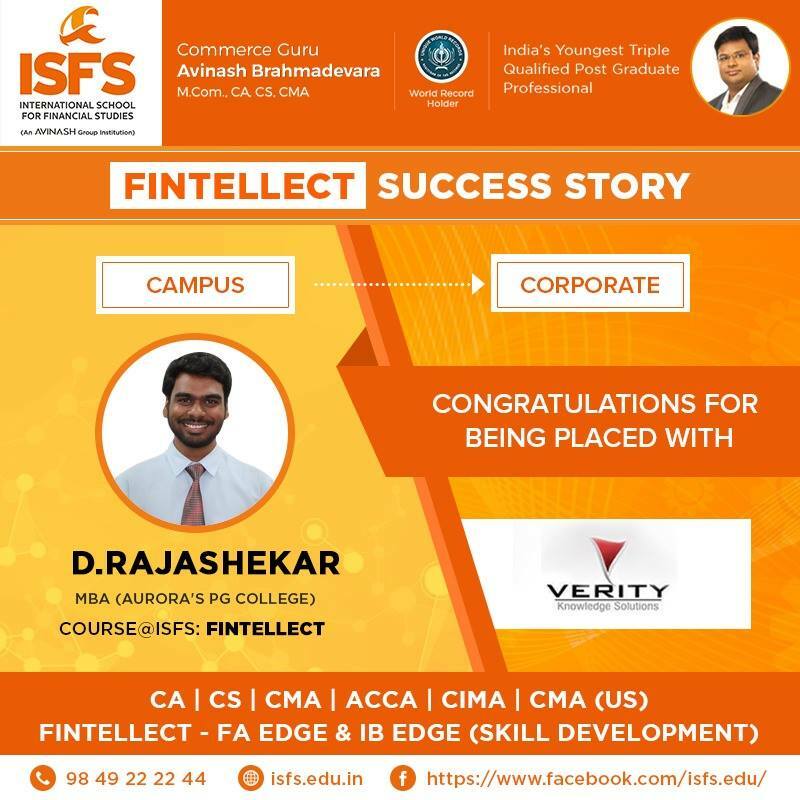 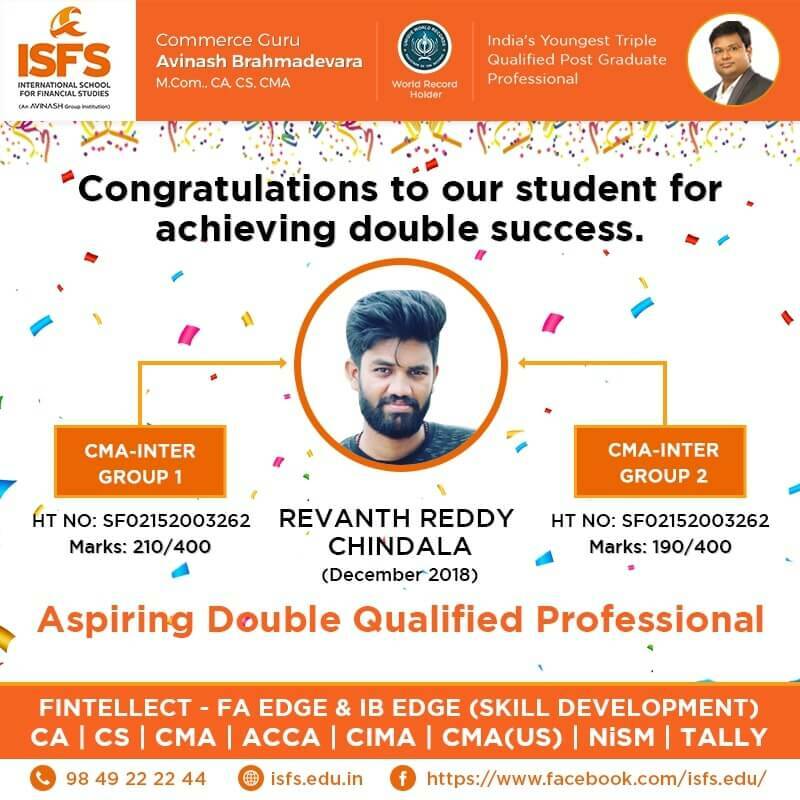 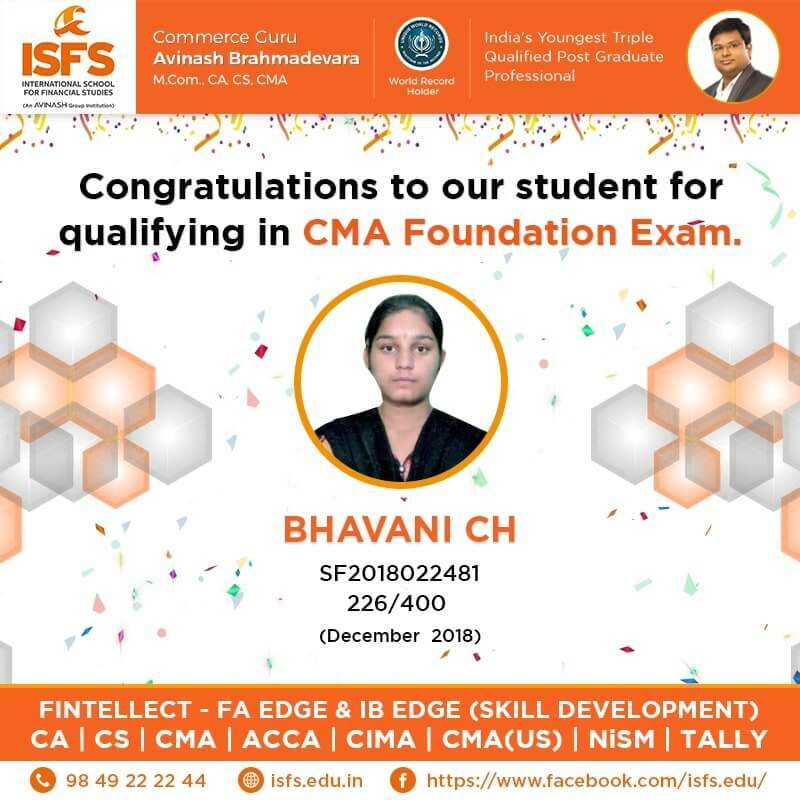 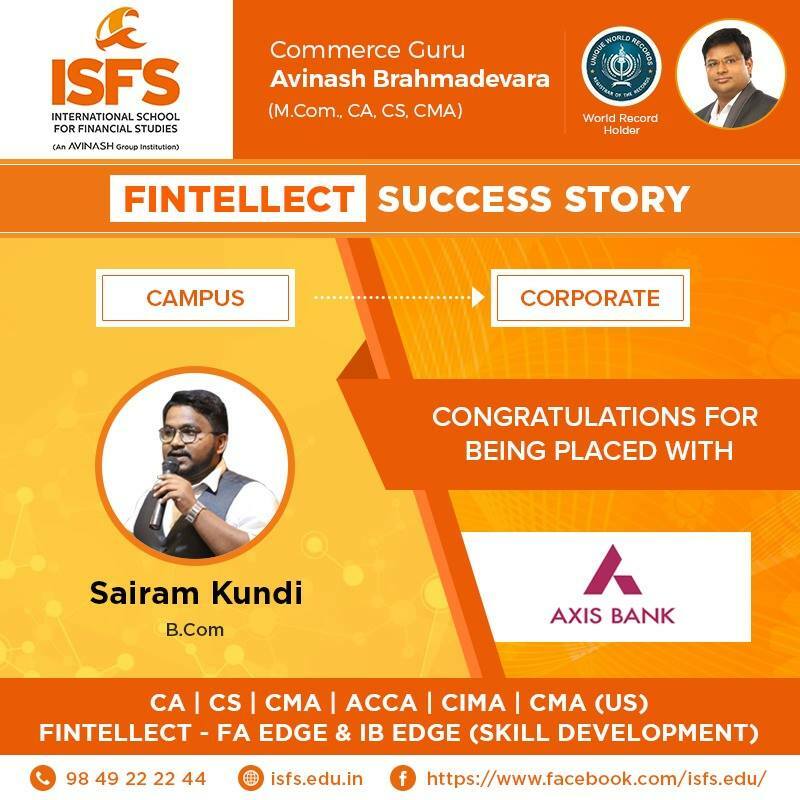 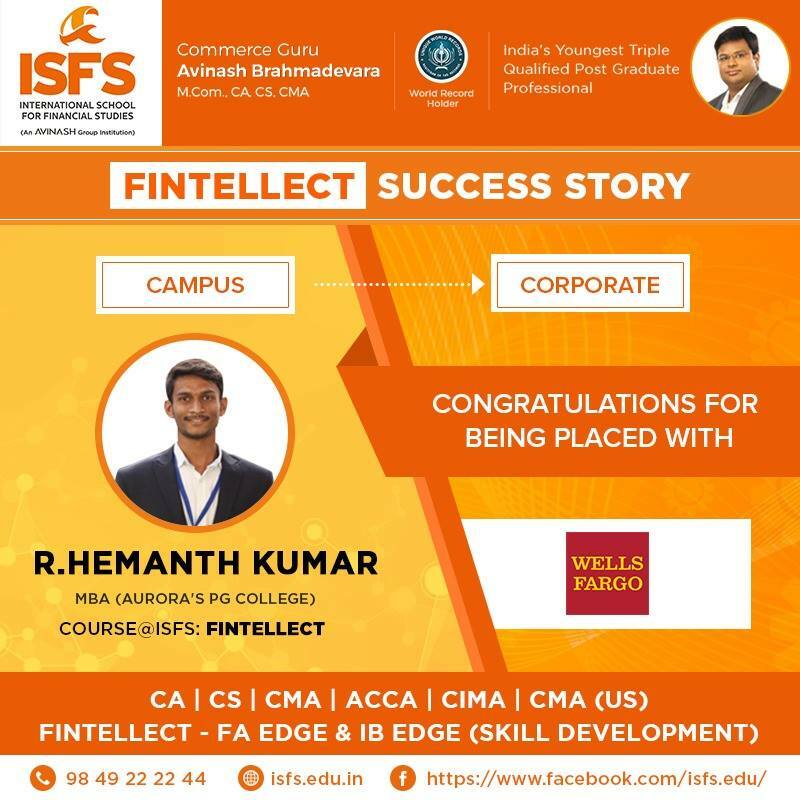 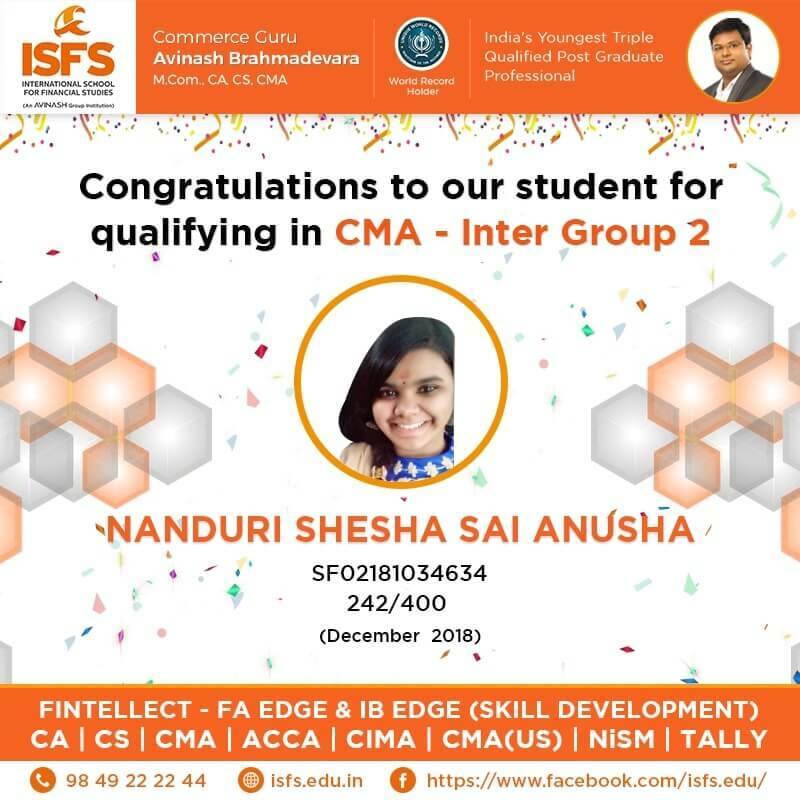 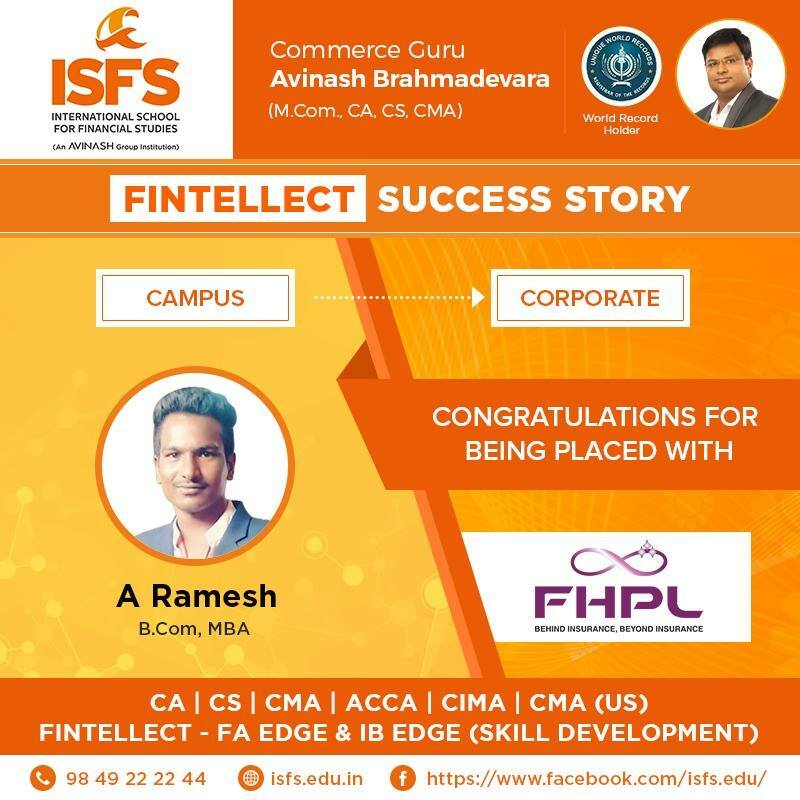 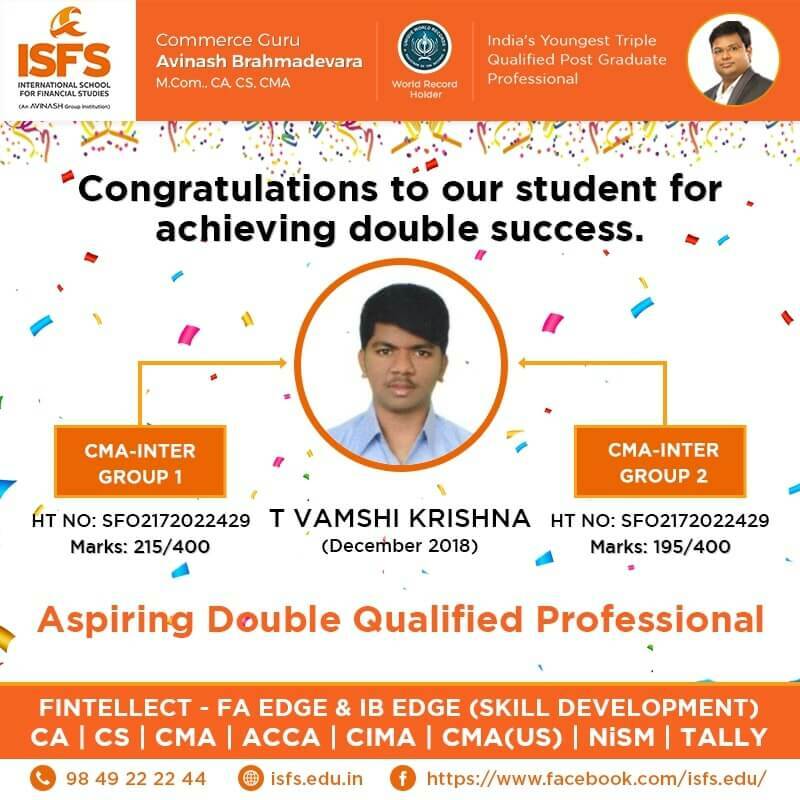 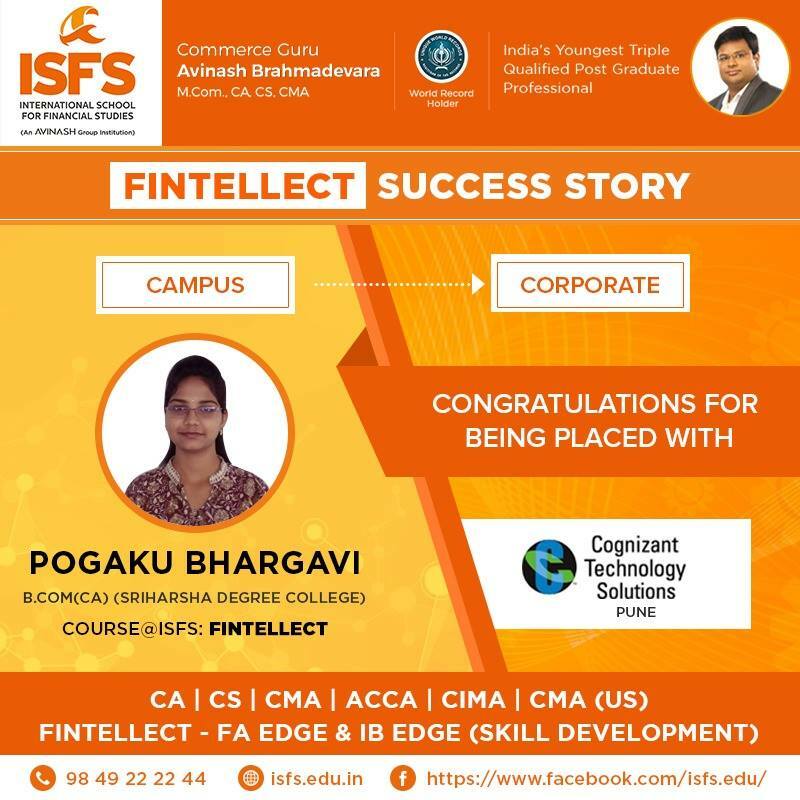 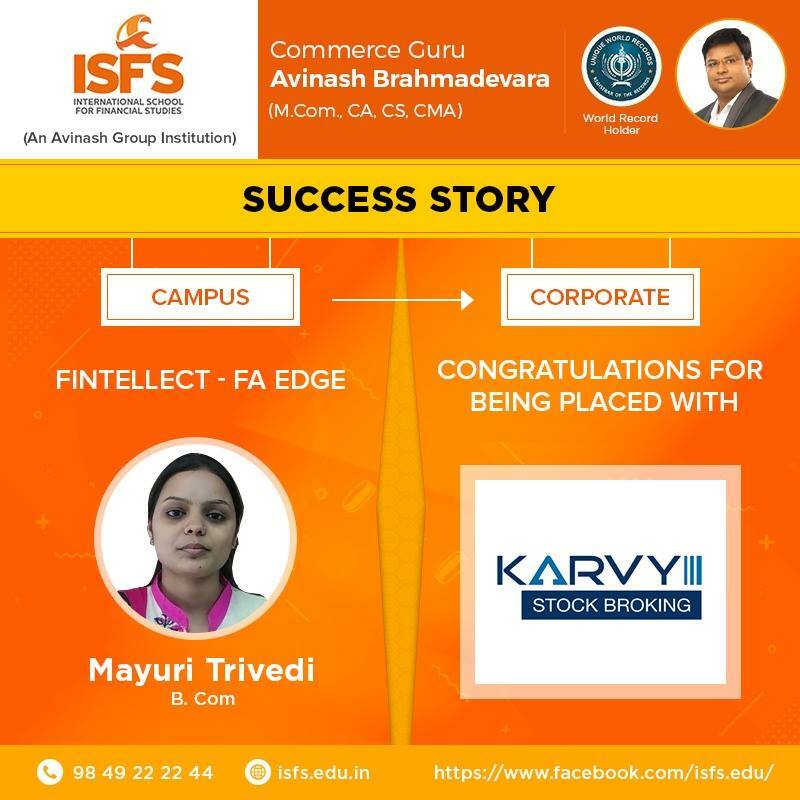 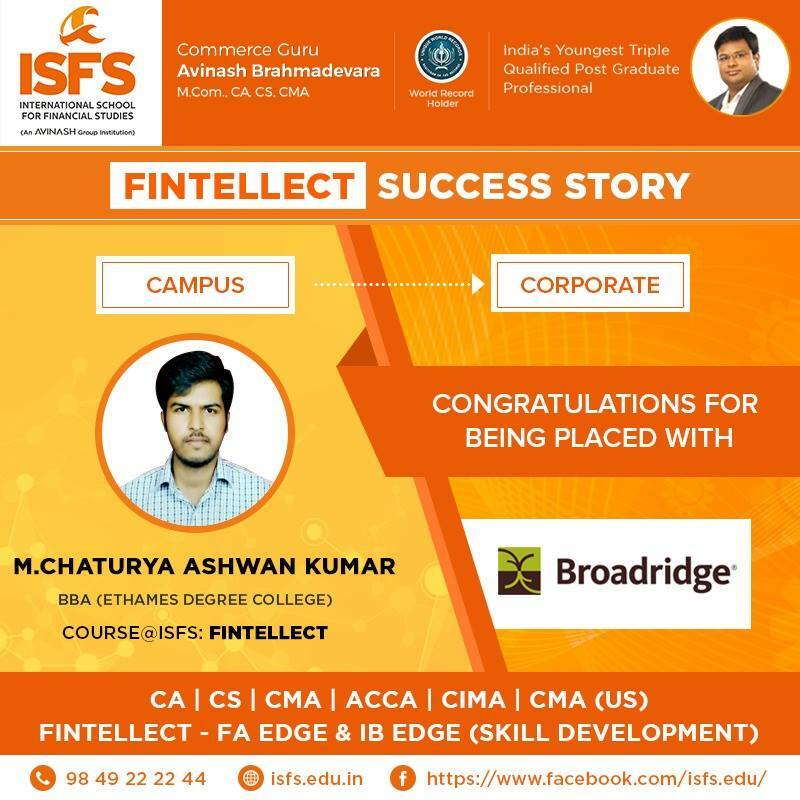 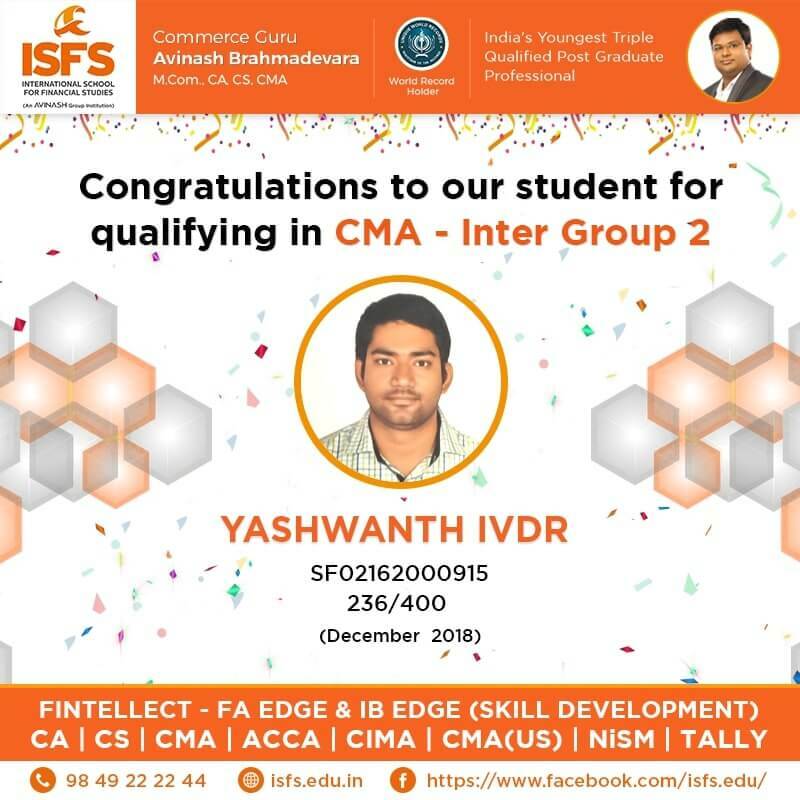 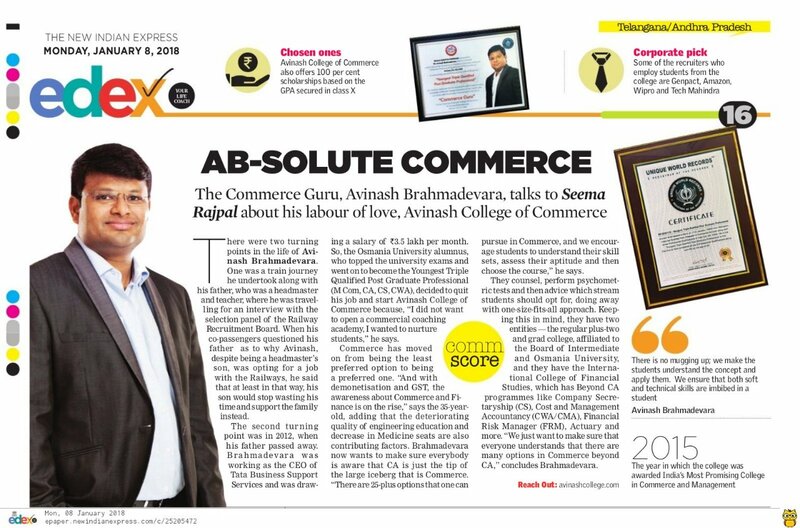 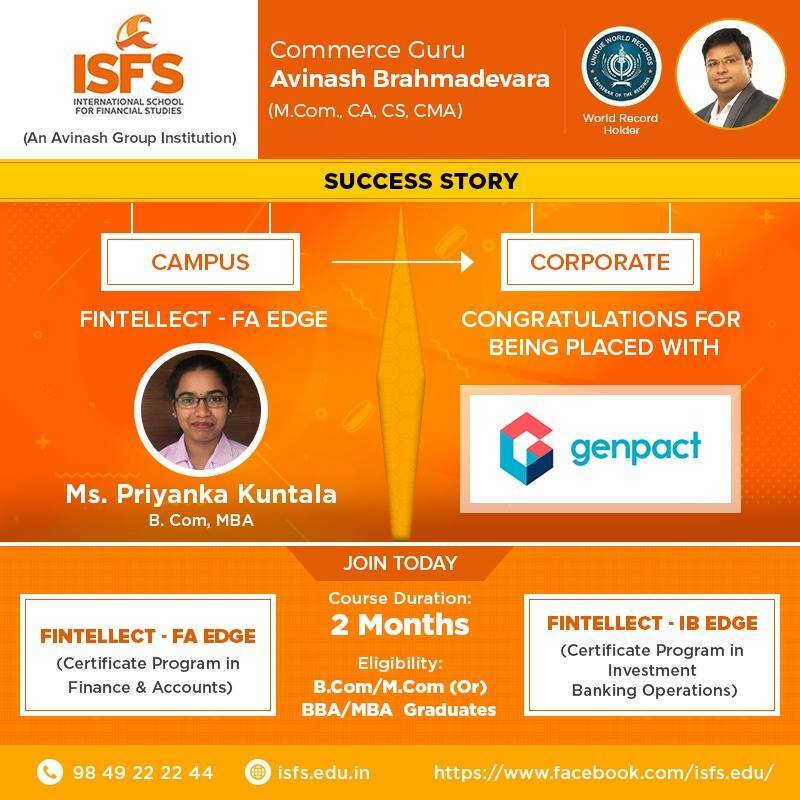 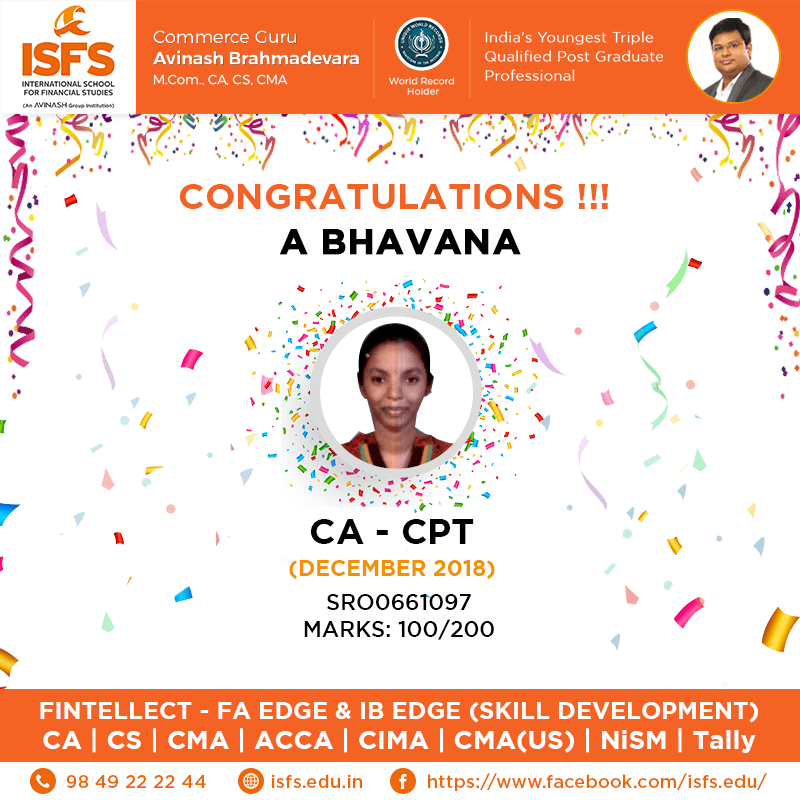 The International School For Financial Studies is driven by the Commerce Guru - Avinash Brahmadevara, M.Com., CA, CS, CMA ably supported by some of the India’s leading Finance and Accounting Faculty. 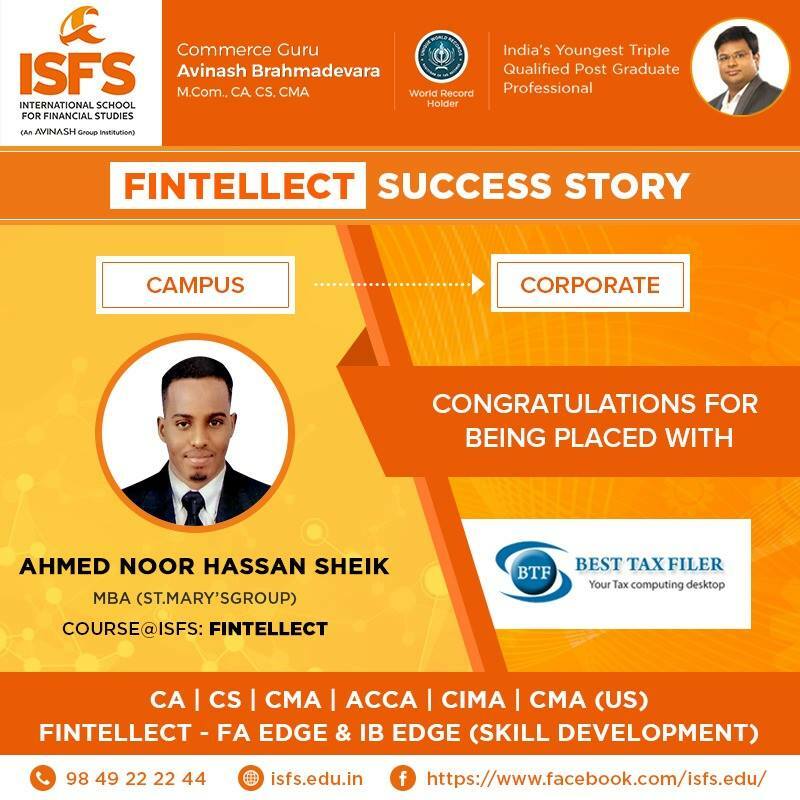 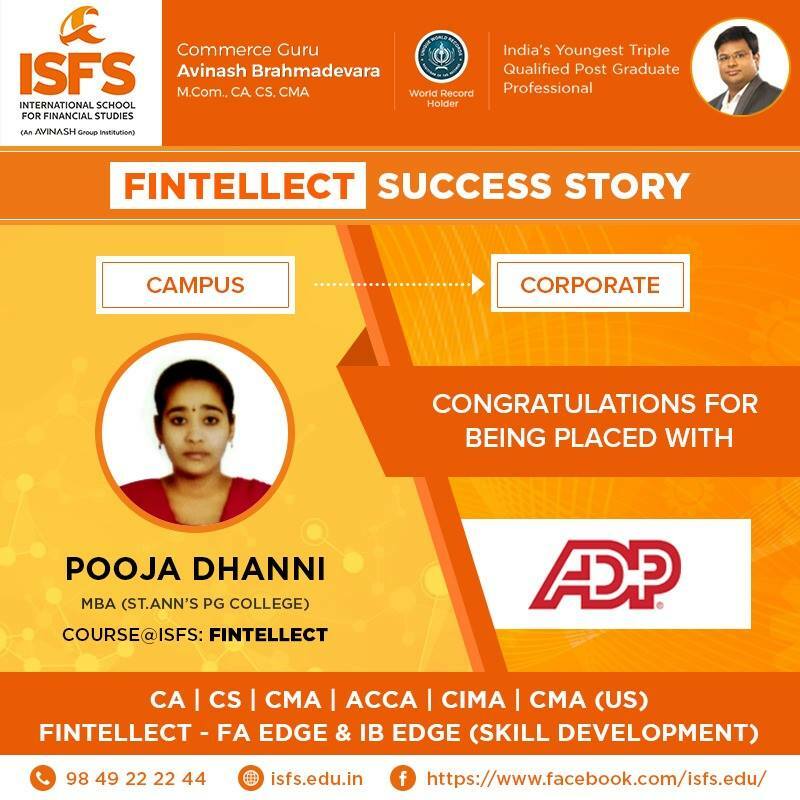 With a student-centric approach which is mainly focused on making learning enjoyable, ISFS is poised to be the most trusted Institute in Accounting and Finance Education in India. 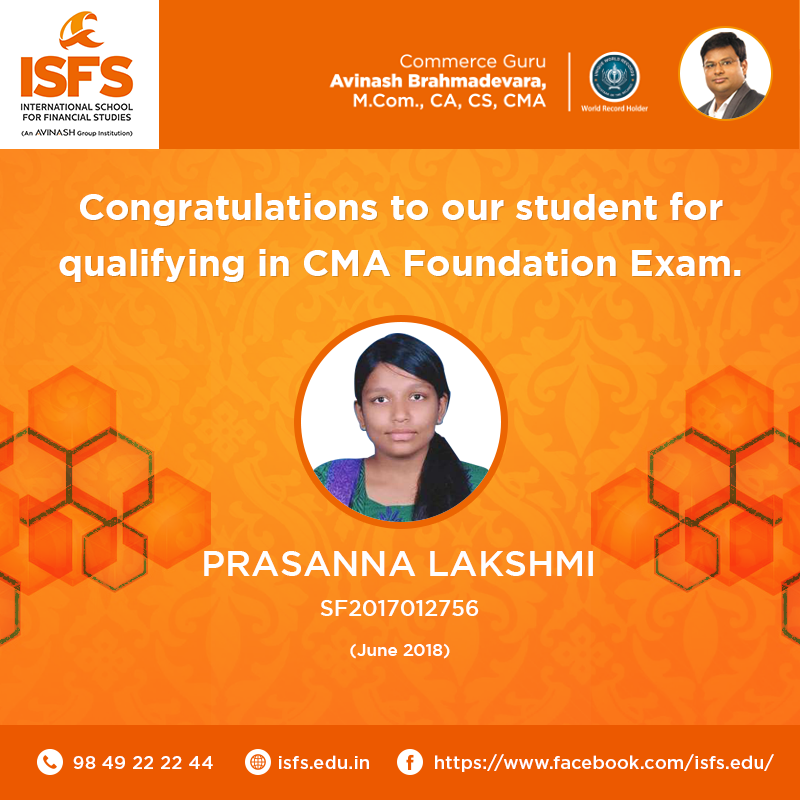 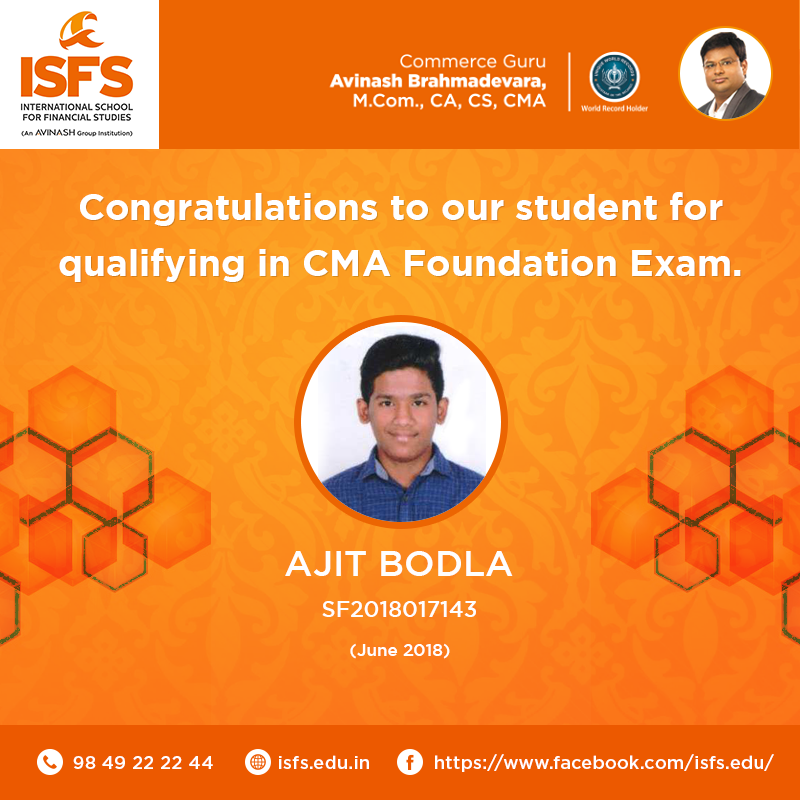 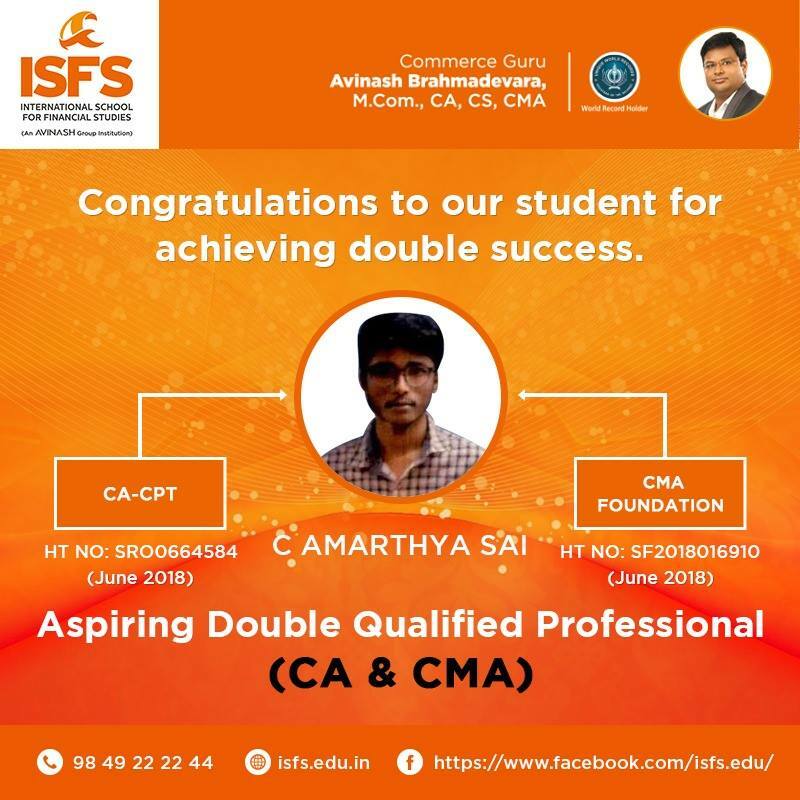 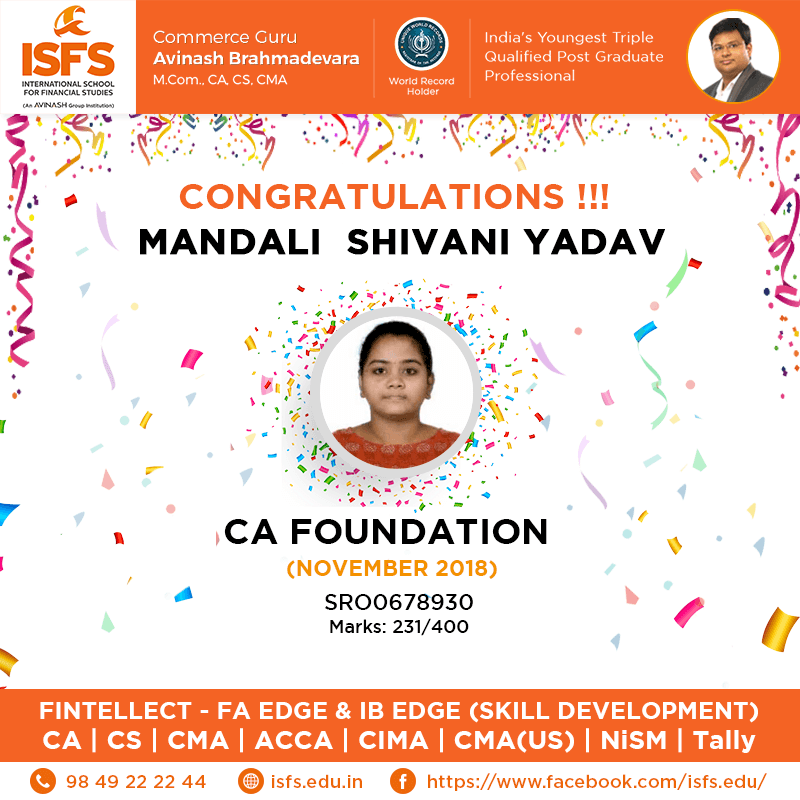 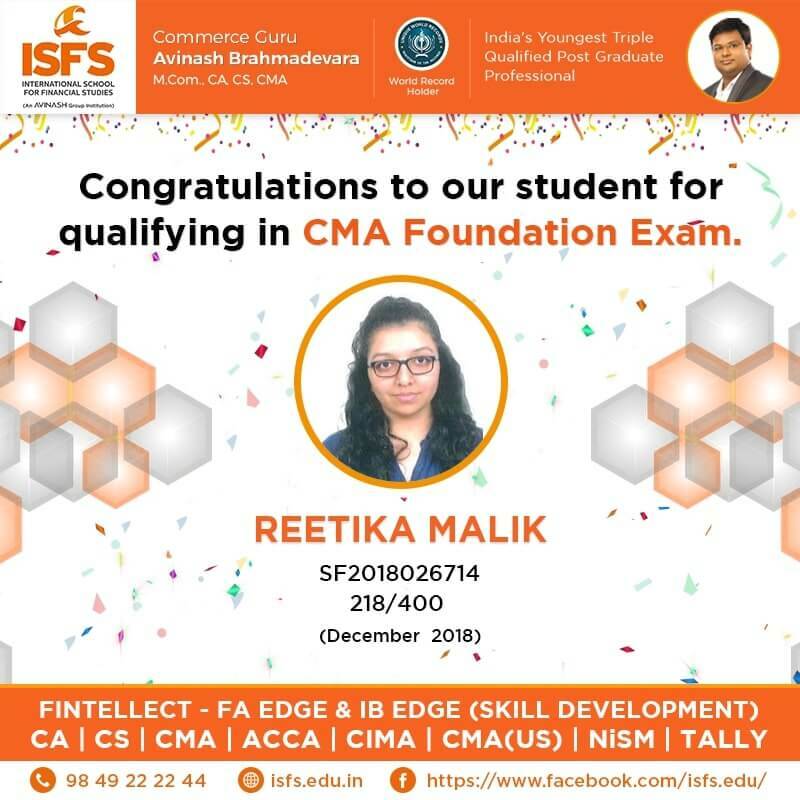 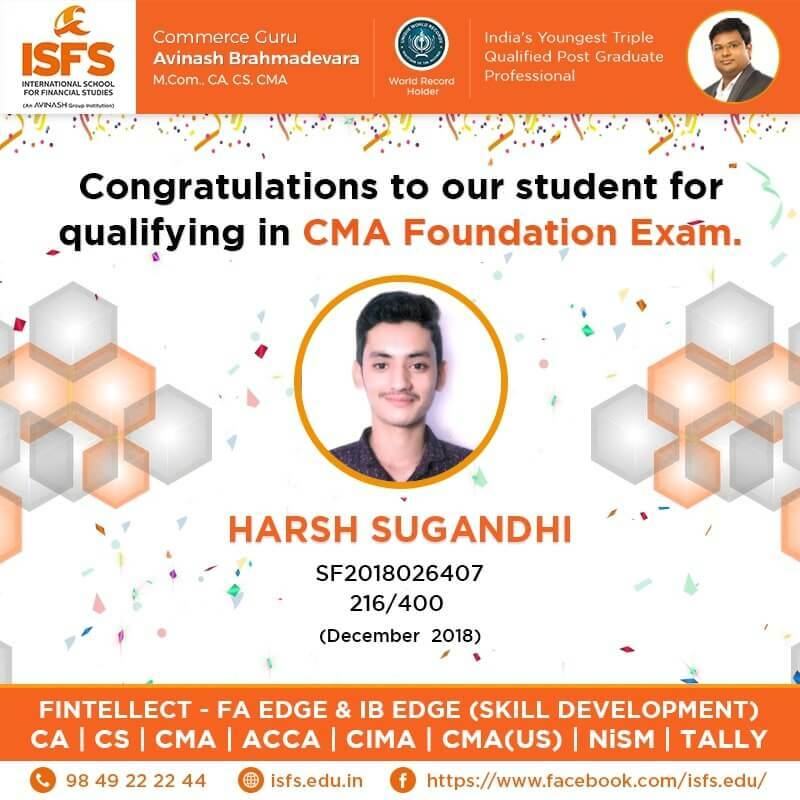 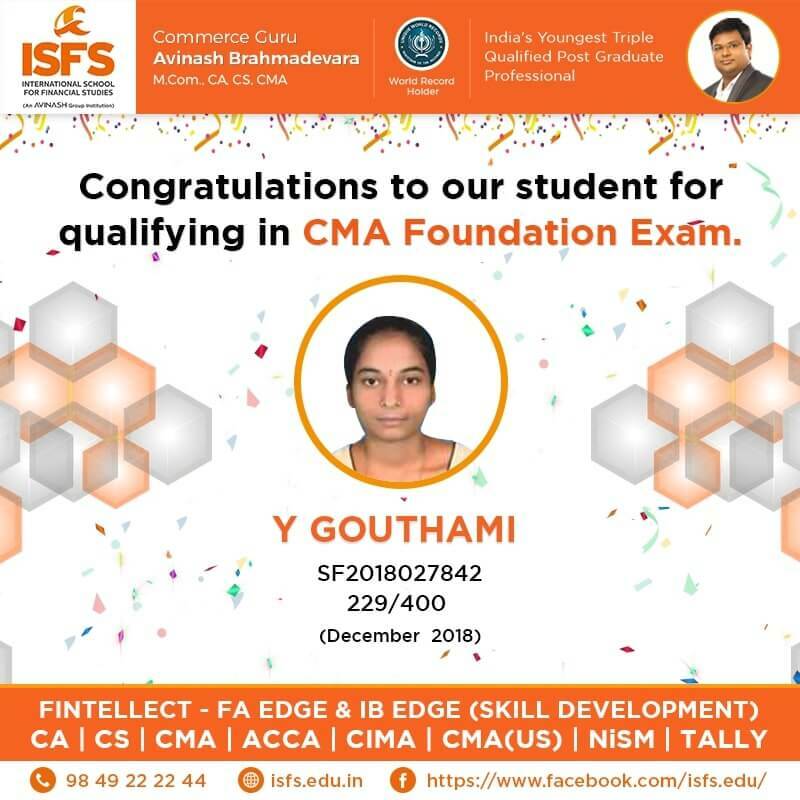 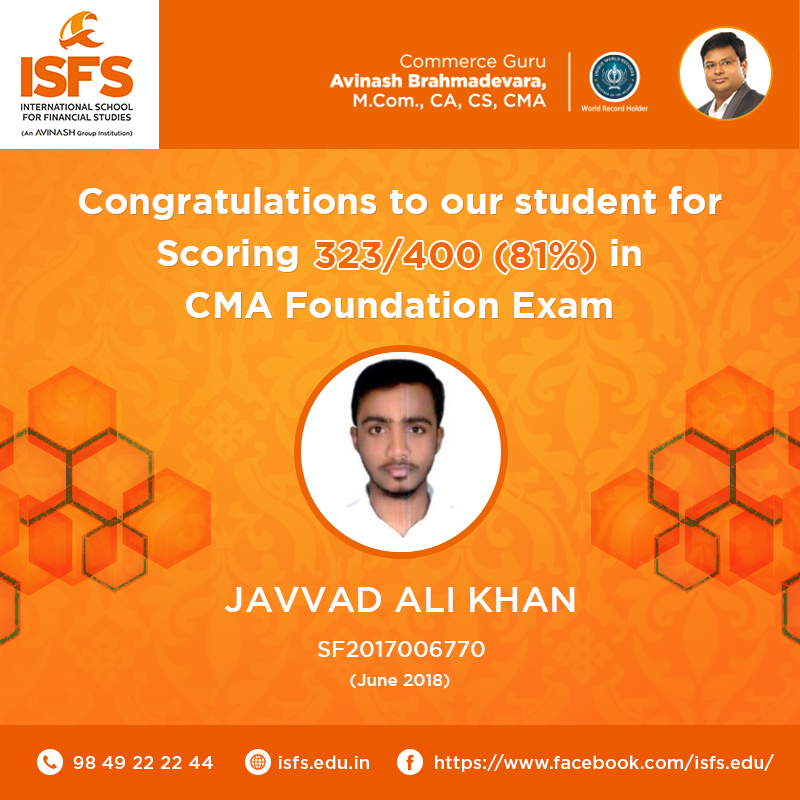 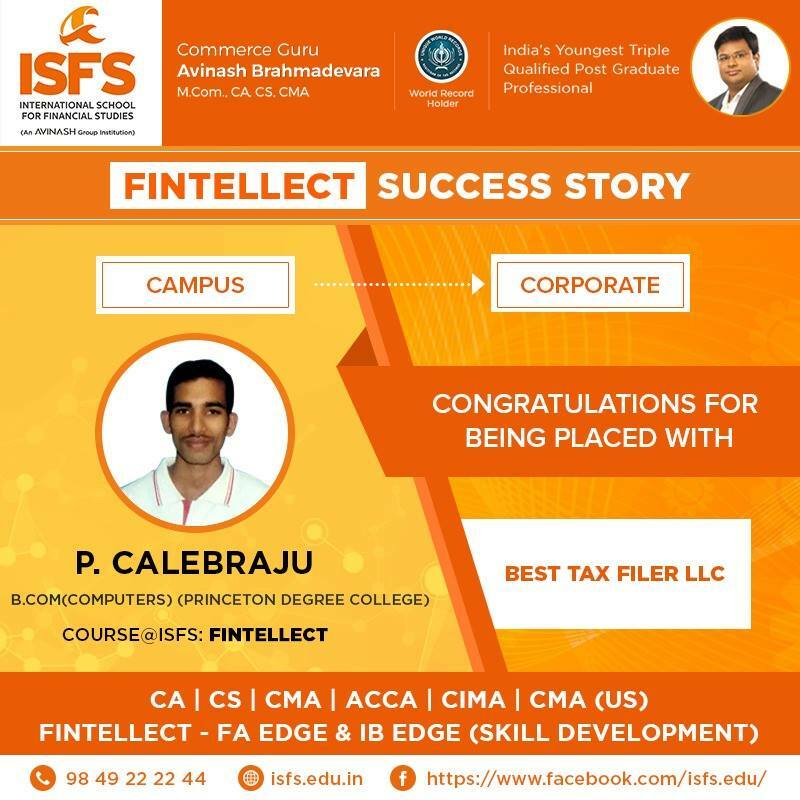 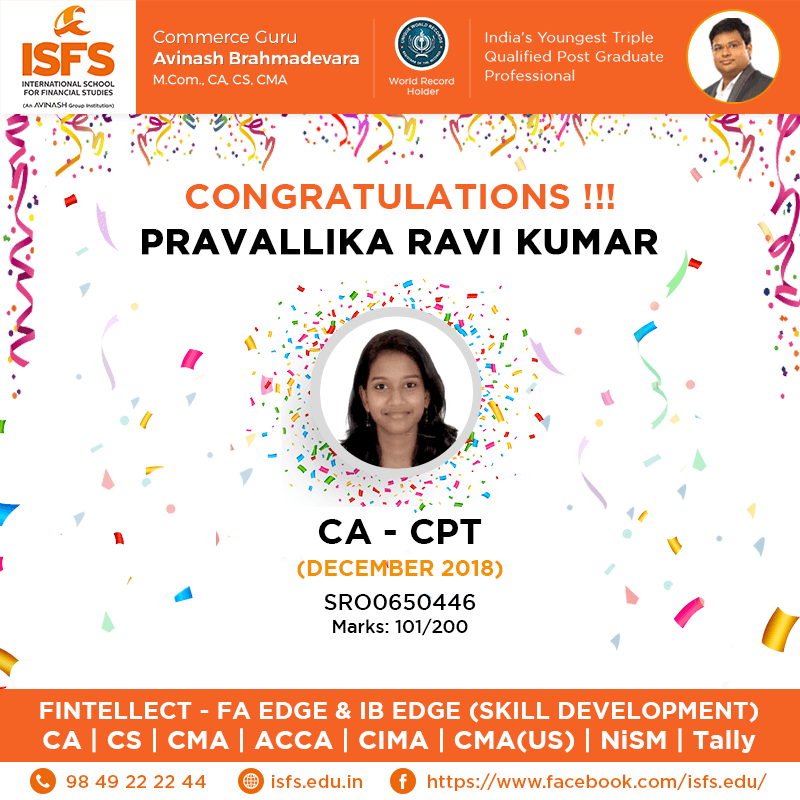 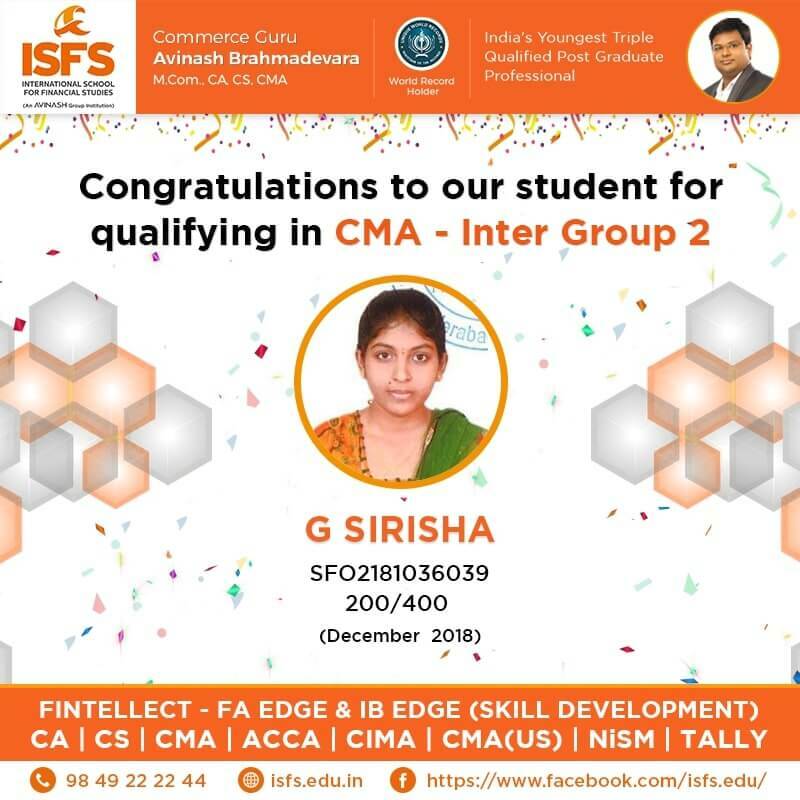 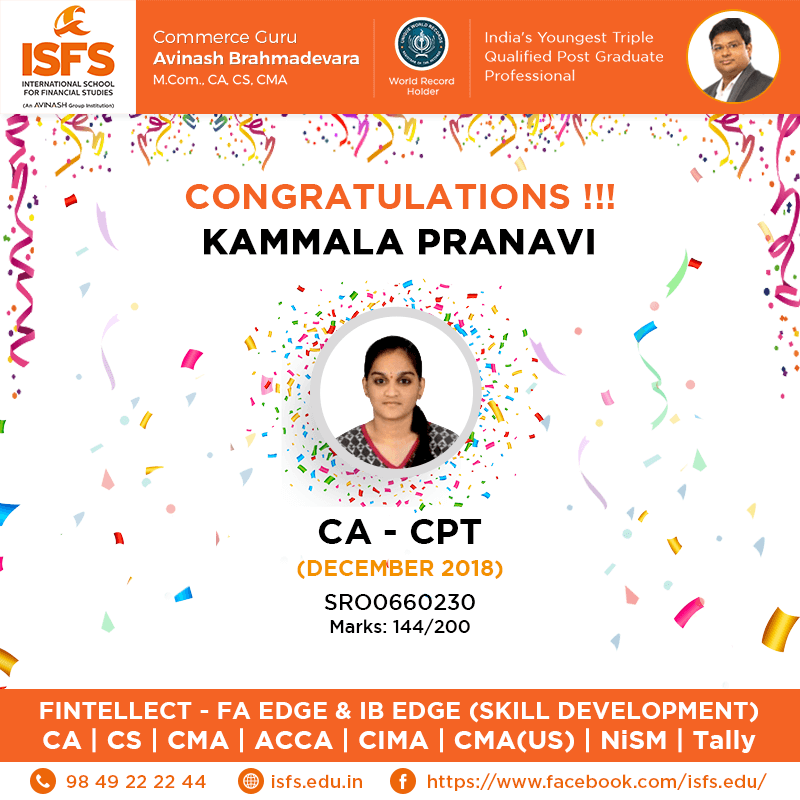 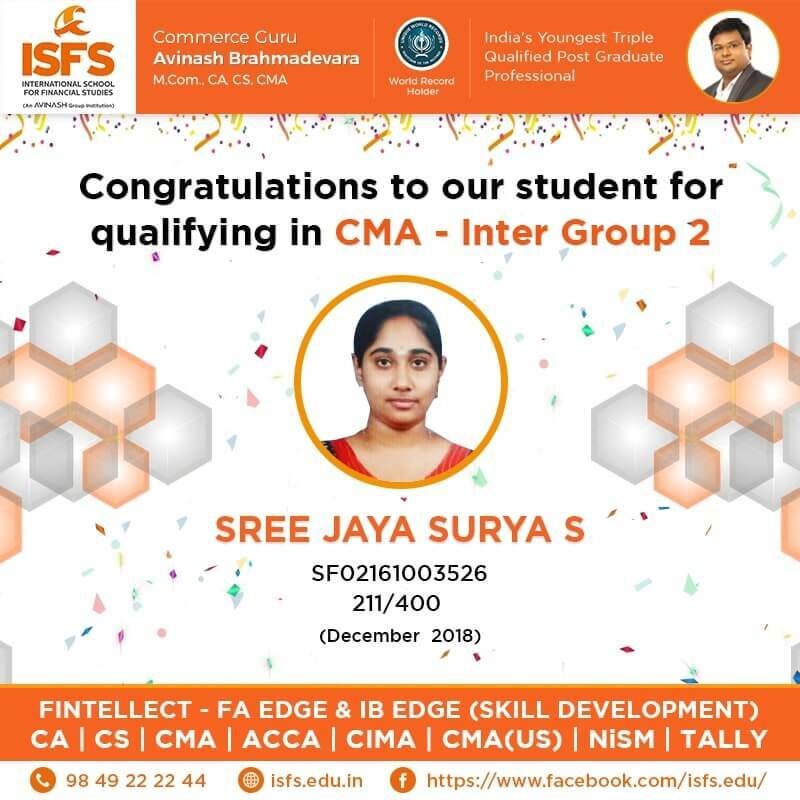 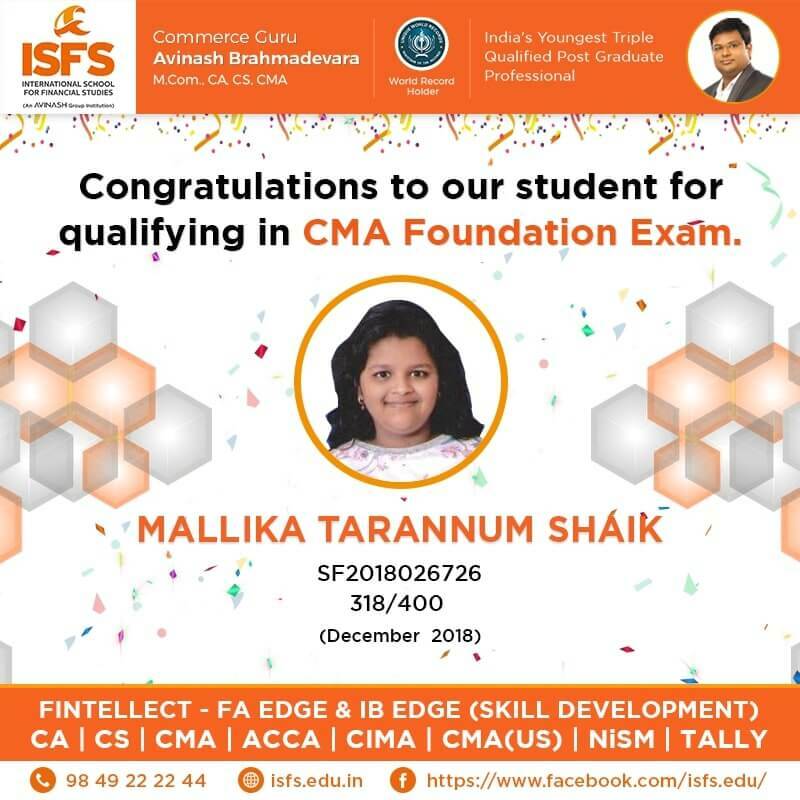 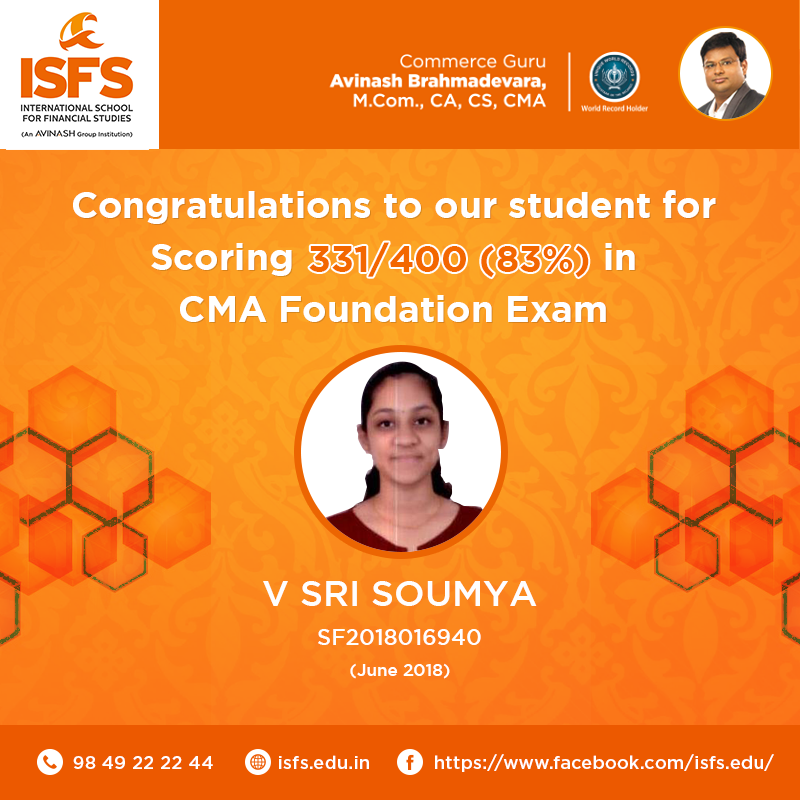 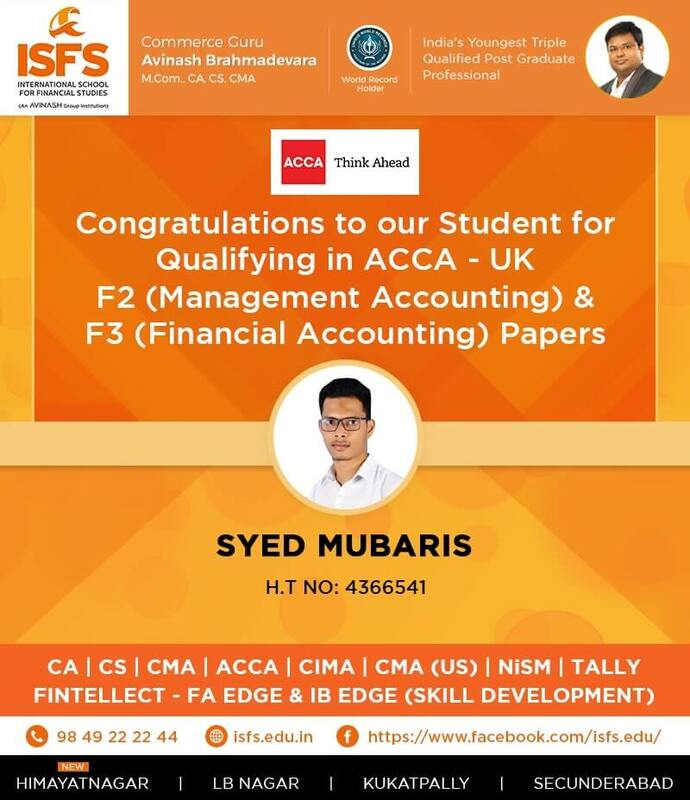 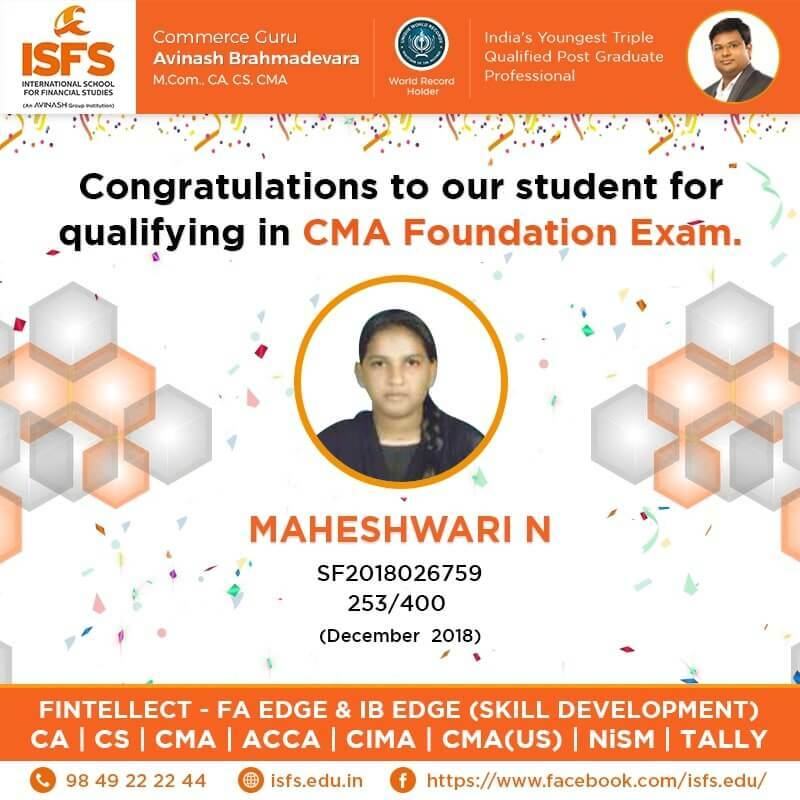 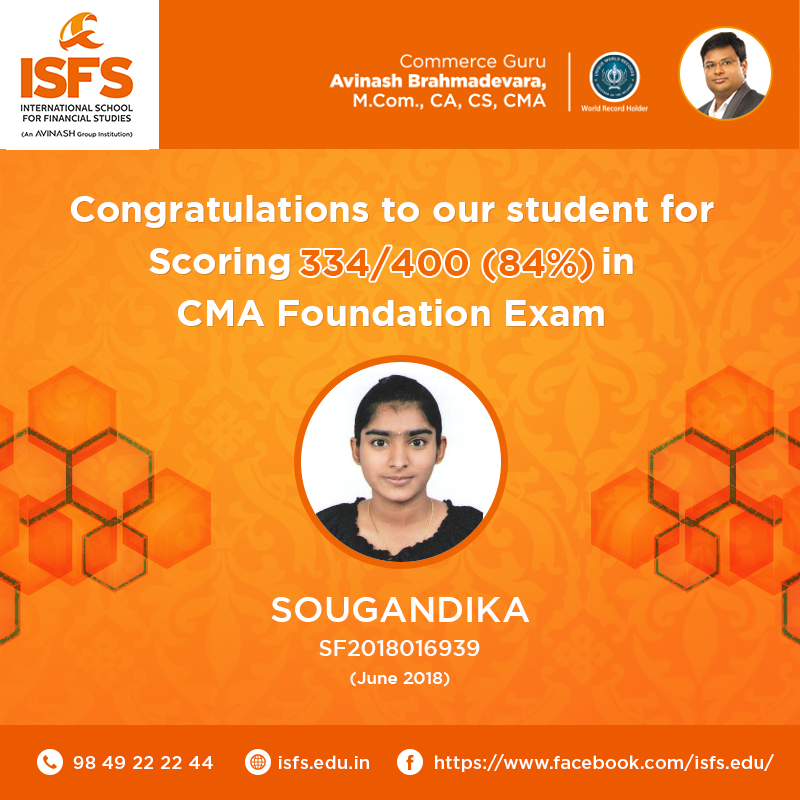 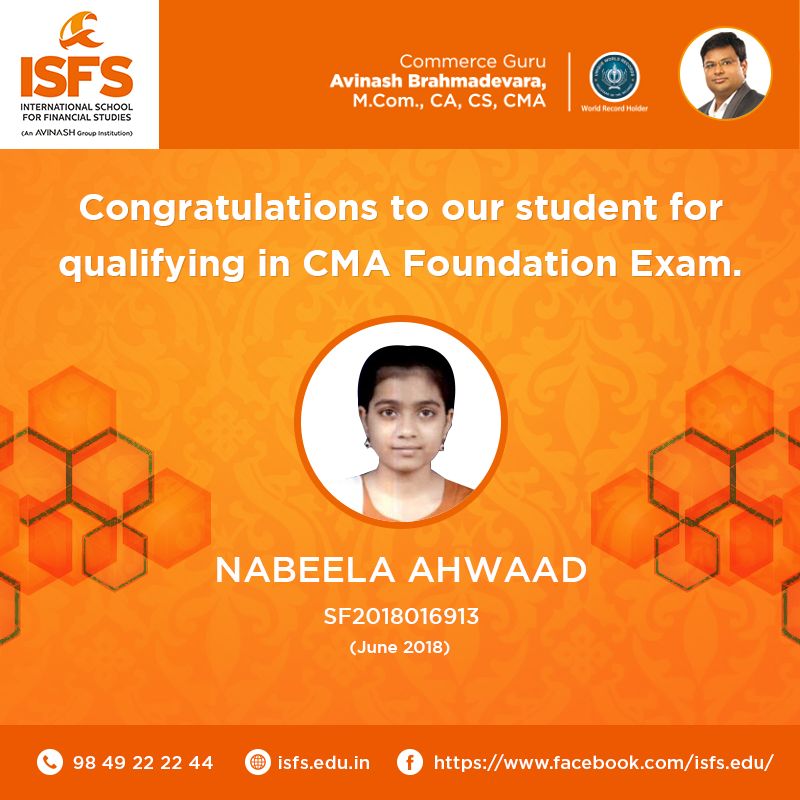 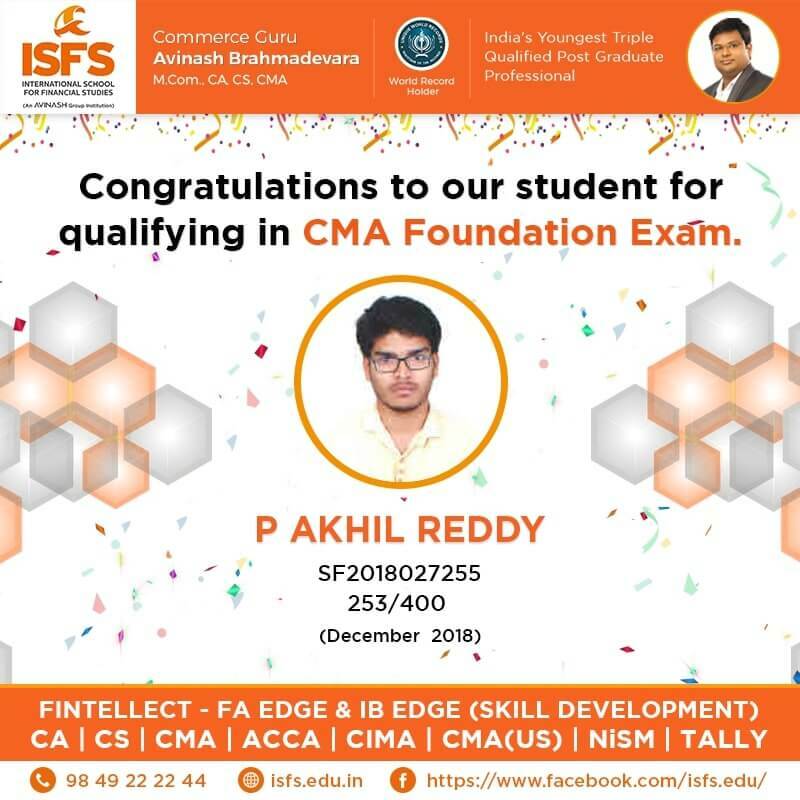 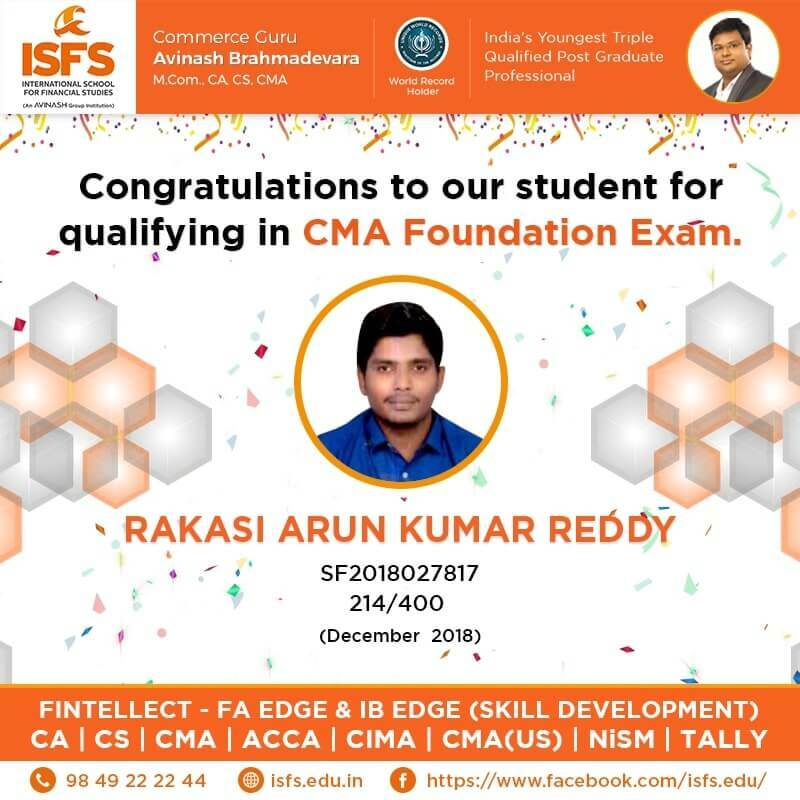 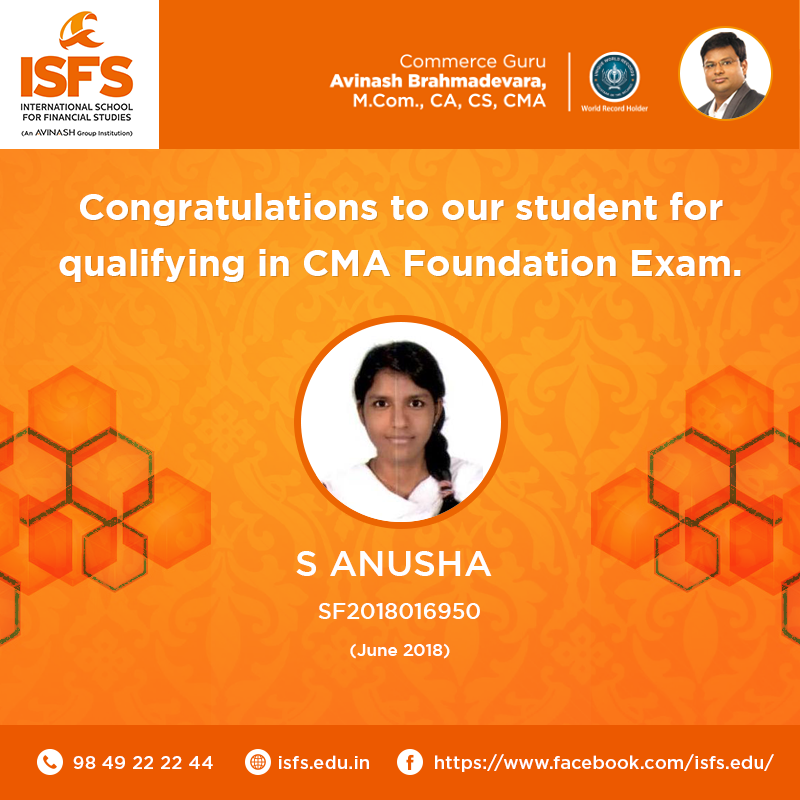 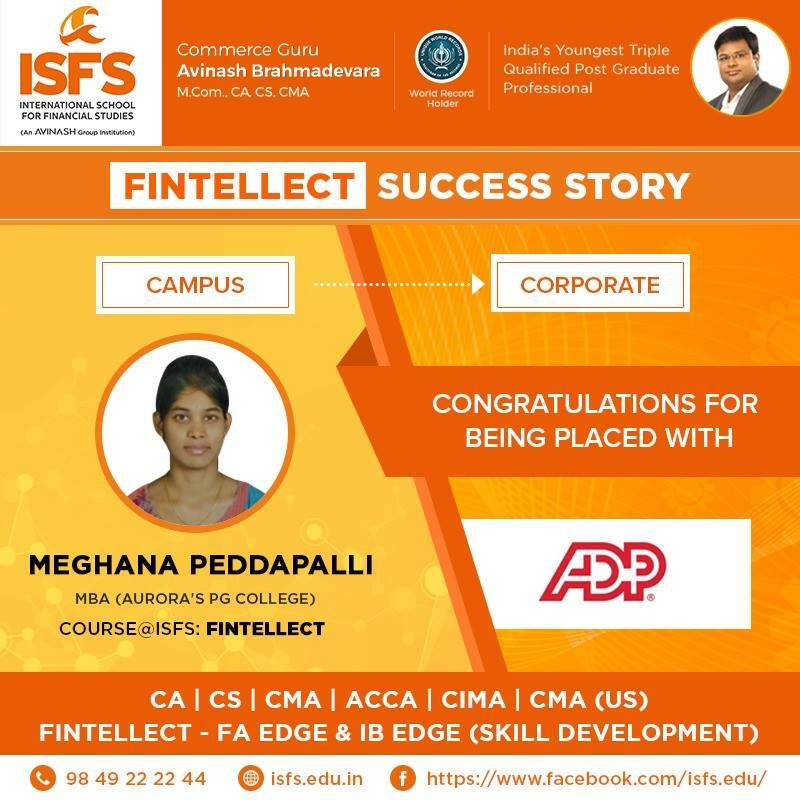 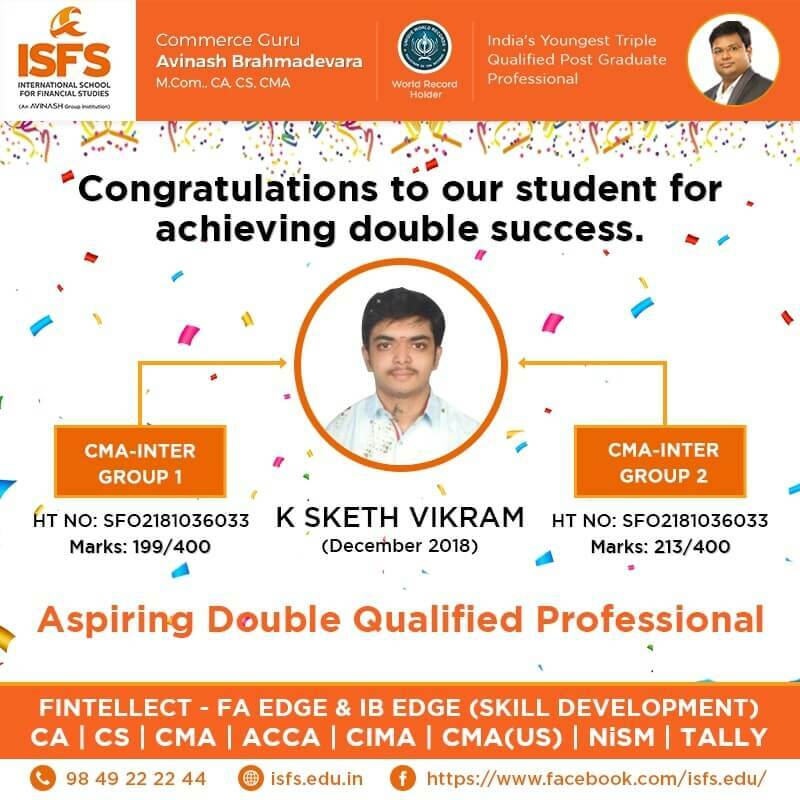 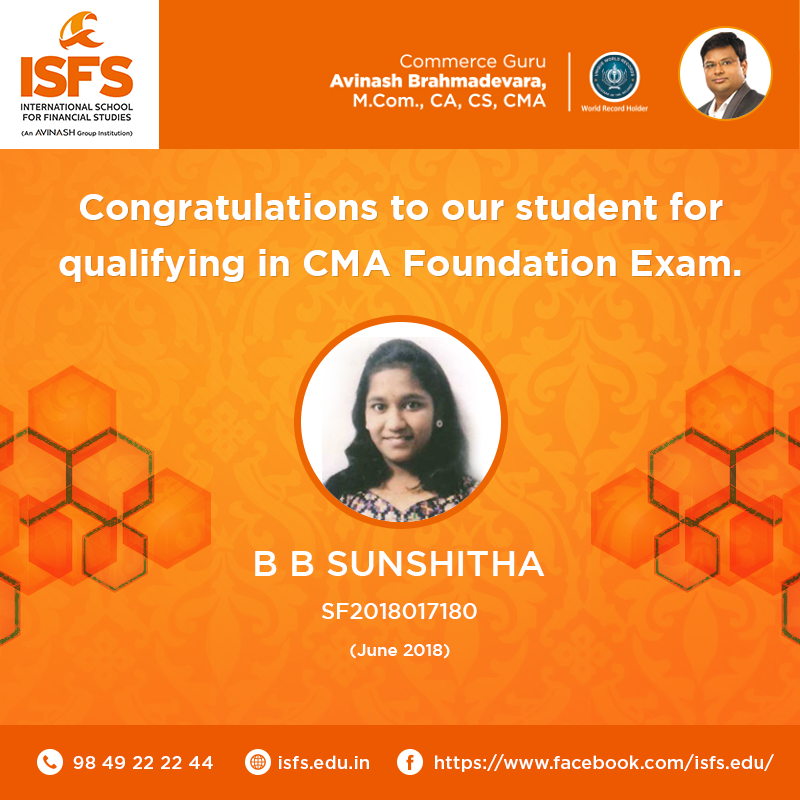 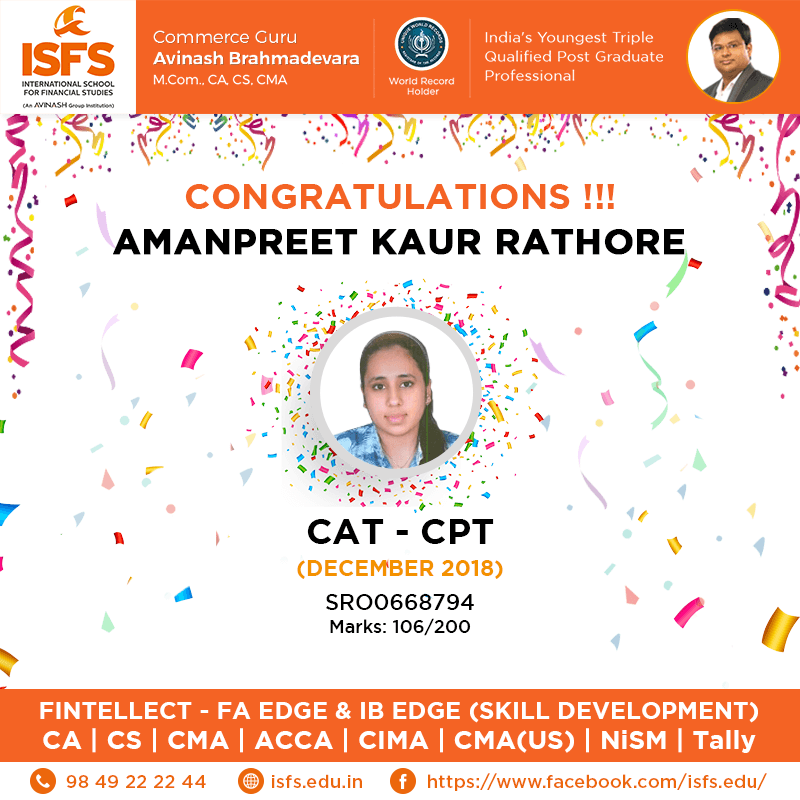 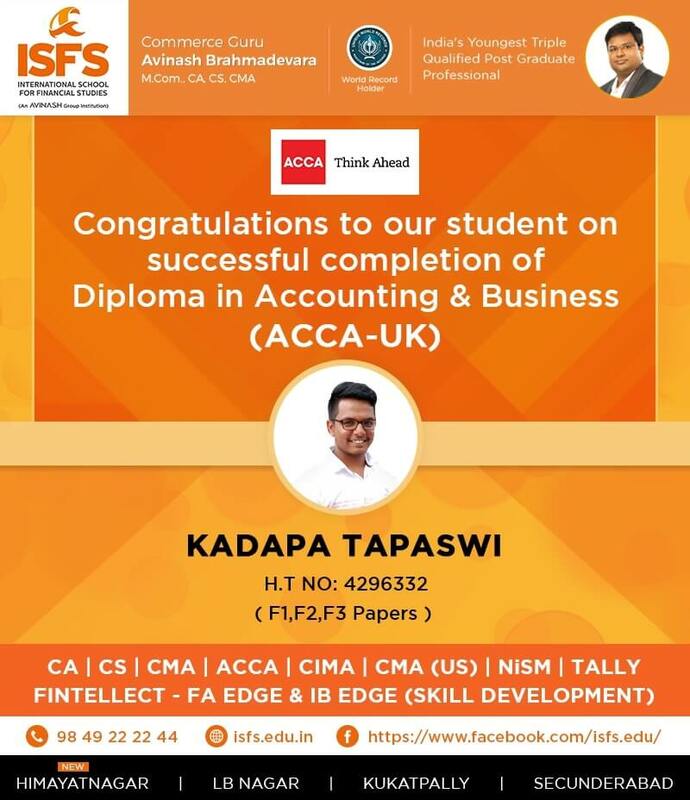 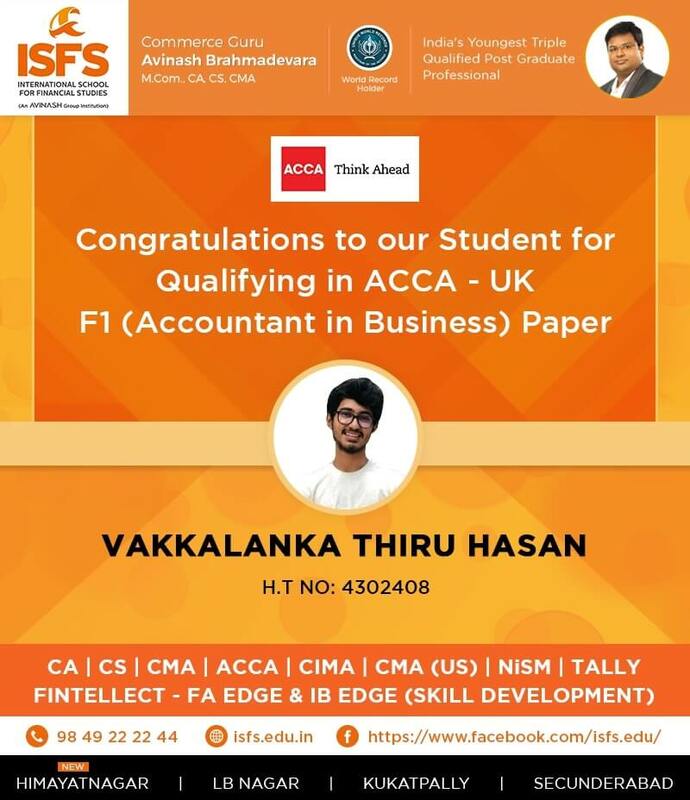 ISFS congratulates our 113 students for clearing CA Foundation/CA-CPT in Dec 2018.